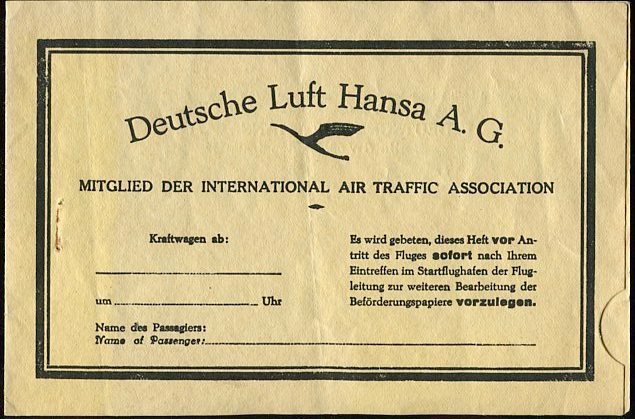 HISTORY: DEUTSCHE LUFT HANSA A.G. was a German airline, serving as flag carrier of the country during the later years of the Weimar Republic and throughout Nazi Germany. 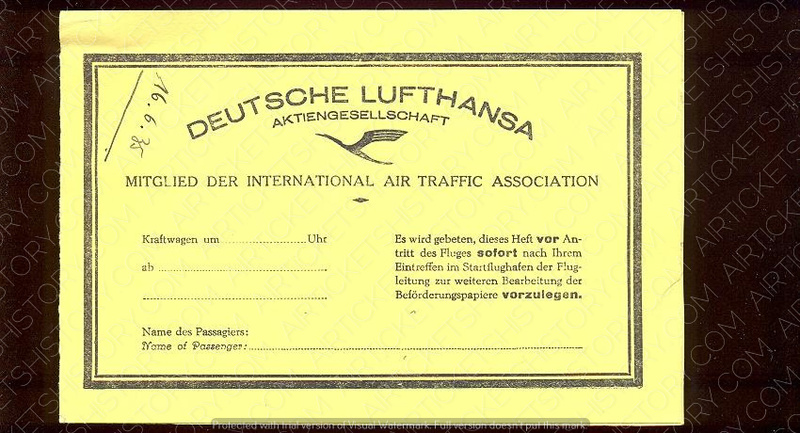 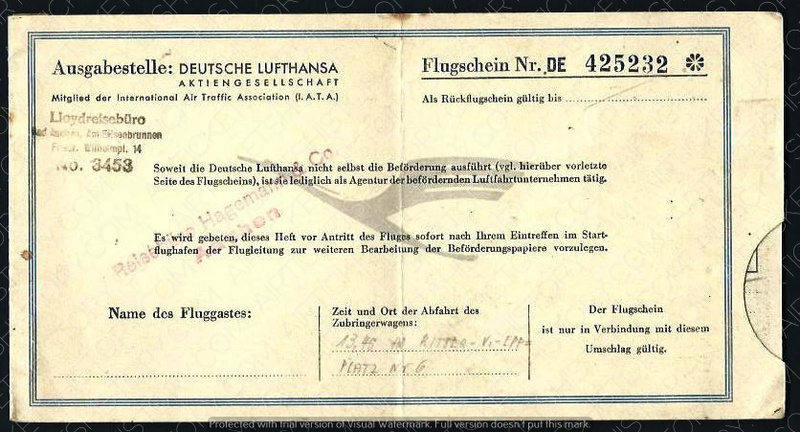 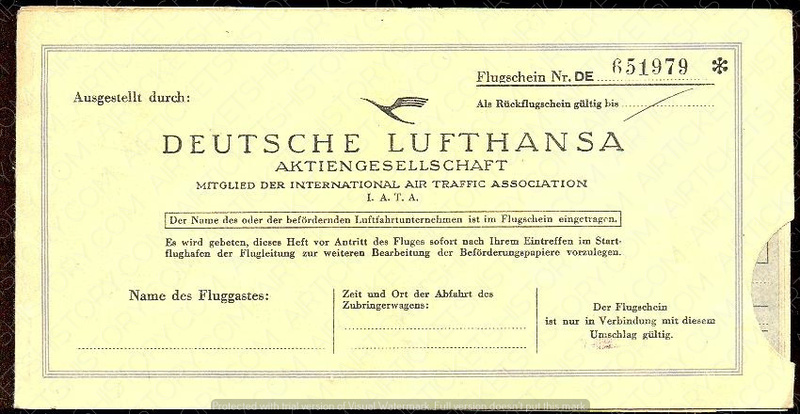 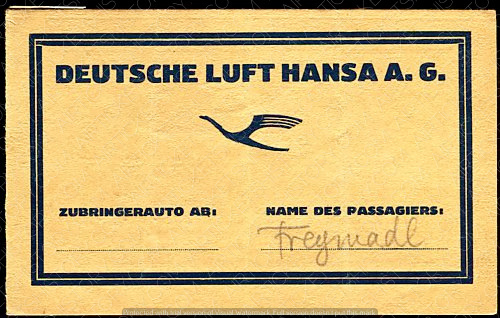 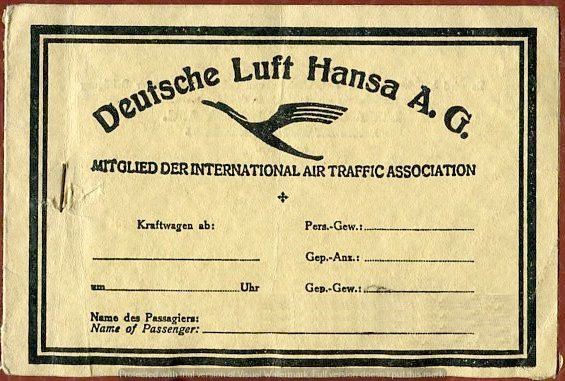 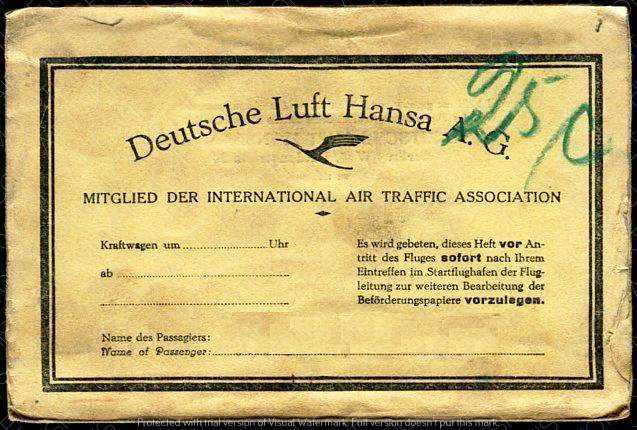 From 1933 styled as Deutsche Lufthansa and also known as Luft Hansa, Lufthansa, or DLH. 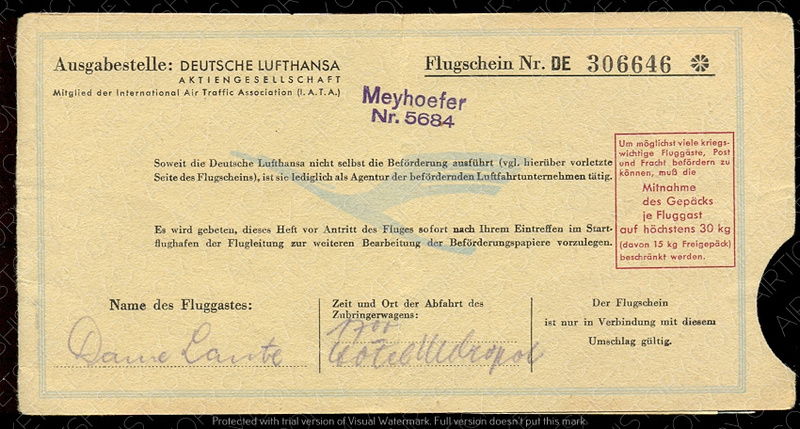 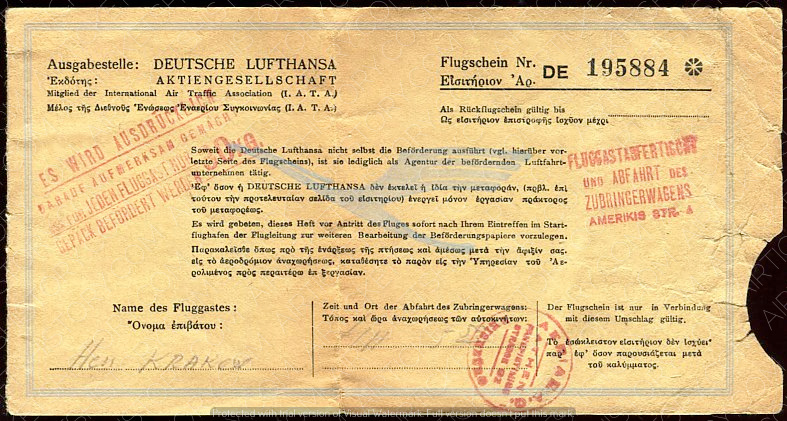 In 1945 all services were suspended following the defeat of Nazi Germany.